Our Winter Wonderland stamp set is now retired, but we couldn't resist sharing this amazing card set. A gorgeous illuminated moon in the background shines brightly on the serene winter scene below. 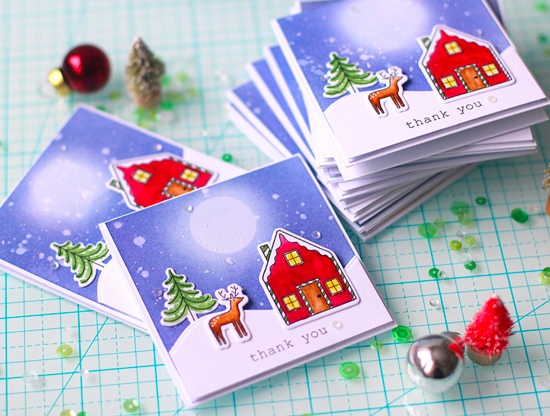 Mass producing thank you cards is a great way to save time during the busy holiday season and ensure you always have cards on hand when a thank you note is needed. 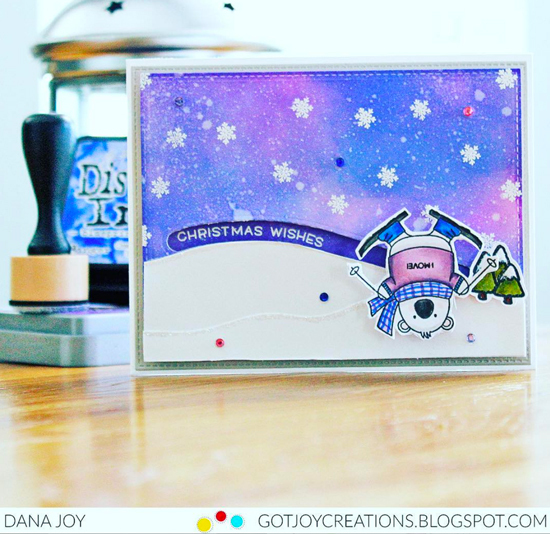 How cute is this slider card by Dana? A brilliant background of blues and purples set the scene for this adorable winter bear having a bit of snowy fun! Using similar colors for the images as well as the background really helps to unify the design. 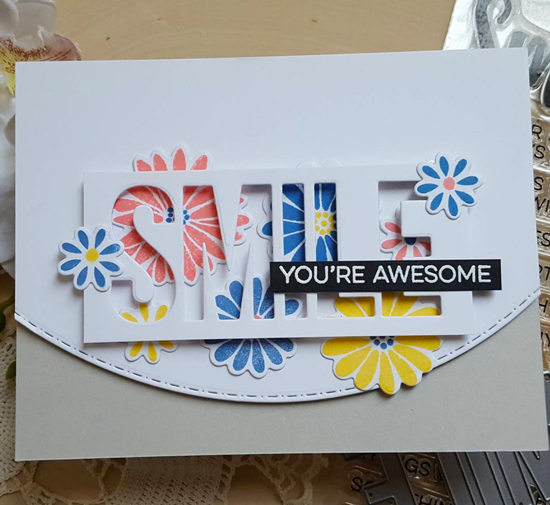 Using the positive of die cuts is usually our first choice, and we forget that the negative portion can create an abundance of creative designs. The bold smile die cut on Rosemary's card is the perfect complement to the stamped flowers layered underneath. Background panels provide a large canvas for all kinds of mediums such as paints, markers, and inks. Jenni layered beautiful shades of blue watercolor on her panel before enhancing it with white embossed snowflakes. 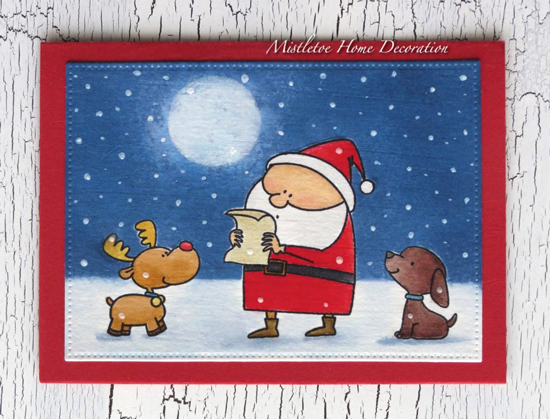 A simple image and sentiment are all you need to complete such a pretty card. Monika created a beautiful scene featuring Santa and a few of his furry helpers. We love the depth and dimension achieved in the snow and sky by adding blended colors and shadows. Yay!!! Thank you, MFT!!! Congrats to the other crafters!! !